As deadline for nuclear deal approaches, the United States remains unoptimistic. The deadline for reaching a nuclear deal between world powers and Iran is Tuesday, but the United States remains unoptimistic that a deal can be reached. Deputy State Department spokeswoman Marie Harf said on Monday that "now is really the time to make the decisions", but also added, according to Reuters, that Washington was not going to "rush to make a bad deal." "I don't want to predict what the outcome will be," Harf said. “We still see a path to get a political understanding. There is still a path to do this. I would probably say (a) 50-50 chance we will get it done." 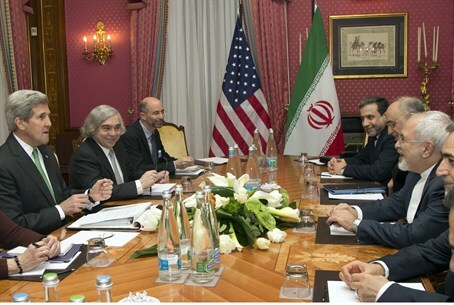 Iran and the six world powers are trying to turn an interim agreement signed in 2013 into a permanent one. On Sunday reports emerged that a provisional agreement on key elements of Iran’s nuclear program had been reached, but Iran denied those reports. Iran has for years declared that it will never give up on its “right to enrich uranium” as part of a deal with the West, and on Sunday also rejected the idea that it would ship out its uranium stockpiles to another country as part of a deal.